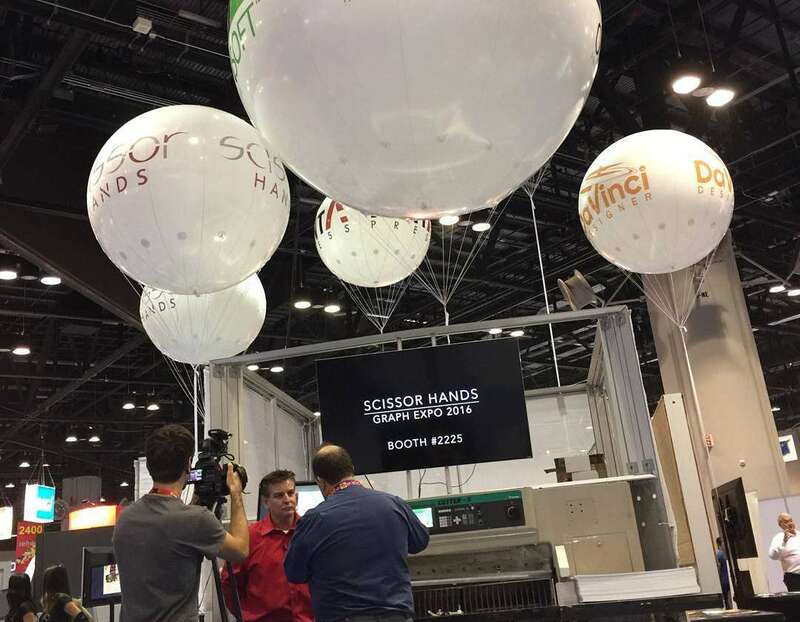 Scissor Hands will return for the second year to Graph Expo 16, one of the largest displays of live running print equipment in the Americas, to introduce new updates to its papercut software. A winner of the 2015 Must See ‘Ems Award, Scissor Hands has carved out its place as a leading innovation in cutting edge automation. Using a unique algorithm, Scissor Hands’ enhanced JDF automation loads a customized cut program that optimizes guillotine cutting to maximize production. The papercut software creates the most efficient cut sequencing and also recommends the best boxing solution. Guided onscreen animations help printers to significantly decrease training time for cutter operators. The innovative papercut software is capable of reducing cutting times by up to 60 percent as compared to manual programming, and therefore, increasing uptime and throughput in the bindery. Able to integrate with Polar-Mohr, Itoh and other industry leading cutters, the program will also track the cutter operator’s jobs, start and end times, and blade drops. The 2016 edition of Graph Expo will be taking place Sept. 25-28 at Orange County Convention Center – North in Orlando, Fla. For a full demonstration, email at info(at)scissorhands(dot)net to schedule or visit booth 2225 at Graph Expo 16. Scissor Hands is a product of Opensoft Inc., located in Las Vegas, Nev. The bindery automation software creates gang run layouts that reduce paper waste and shorten turnaround times. Opensoft Inc. has advanced technologies for the print industry and extensive experience in developing print software for managing print processes at every stage of selling, manufacturing and fulfillment.